Hulls, rudders, daggerboards good shape. Jib: dacron good shape. new luff zipper. Roller furler. Main: mylar has some delamination. Galvanized single axle trailer w/sail & gear storage tube. Gear bag with some tools and spares. Get ready for springtime fun in the sun at the lake! This boat is a blast to sail. Large sail area takes advantage of even the lightest breezes. This is a high performance powerful beach cat. 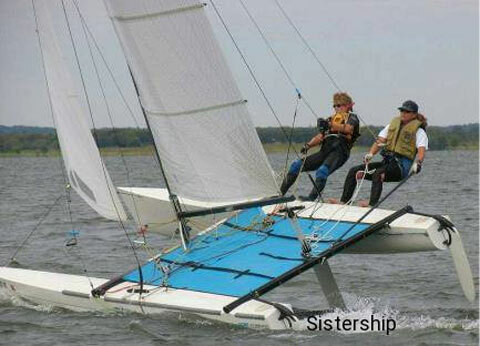 Definitely not your grandpa's Hobie 16. Can be sailed with one or more. Optimal racing crew is 2 people totaling around 325 lbs. Great light air boat. 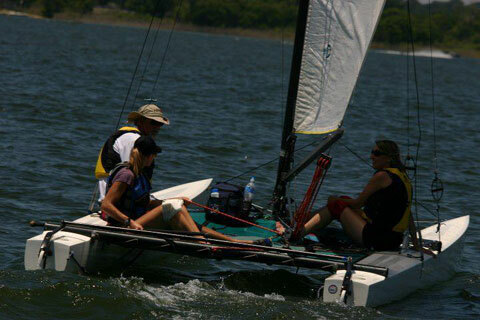 In more sporty breeze it rewards with lots of speed and excitement. 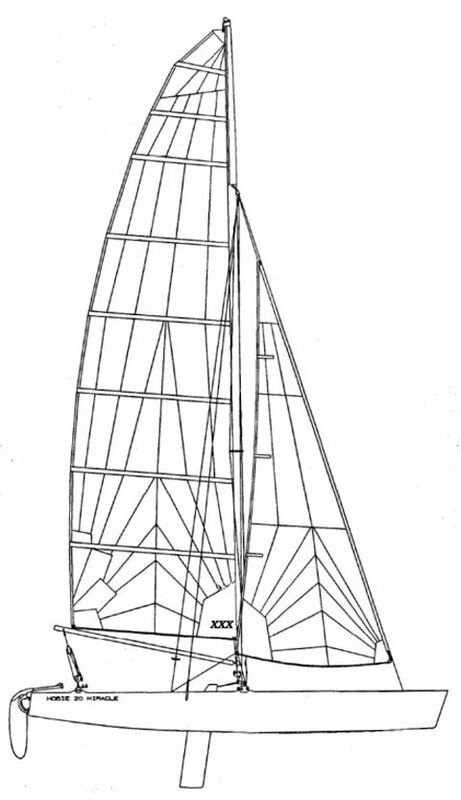 Shorthanded or in big wind it can be depowered and sailed with mainsail only. 2 Spinnakers (large and small), spinnaker pole with mid pole snuffer also available.